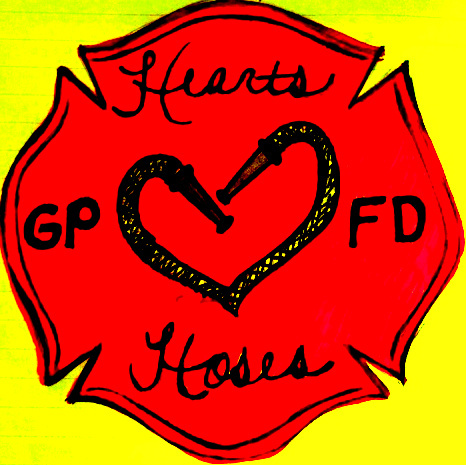 I’d like to introduce you to GPFD Hearts & Hoses. This is a newly formed, non-profit organization of GPFD family members created to support our hard working firefighters and those affected by their job. The ultimate objective of GPFD Hearts & Hoses is to work in tandem with the Grand Prairie Fire Department and the Grand Prairie Firefighters Association to promote camaraderie and solidarity within the Fire Department, as well as assist community members in crisis whose lives have been adversely affected by fire loss. At this early stage of inception however, our primary goal is the funding and creation of our inaugural GPFD Winter Gala scheduled for December 7th. GPFD Hearts & Hoses is a membership based organization and is open to spouses, parents, adult children, siblings and significant others of active, retired, and deceased Grand Prairie Firefighters. This includes current immediate step-family members (male or female). Annual membership dues are $32.00. This money will go toward operating cost, fund raising efforts and gala expenses. Potential members can join by completing the enclosed membership form and returning it, along with your membership dues, to me or by visiting our website http://gpfdheartsandhoses.com and clicking “Become a Member”. For more information about the organization and the gala, please attend our second GPFD Hearts & Hoses meeting Friday, May 3rd from 6:00-7:30 in the community room on the second floor of the Public Safety Building, 1525 Arkansas Ln. The agenda will recap items from our first meeting as well as discuss our gala “To Do” list. We are all very excited about the creation of this group and the work we can do together to support those who are so near and dear to our hearts, our GPFD firefighters.